Picture this: You’re going on vacation to Paris. You’ve picked out a few stylish dresses, so that you blend in seamlessly with Parisians. You’ve even read “How to Be Parisian,” just in case. 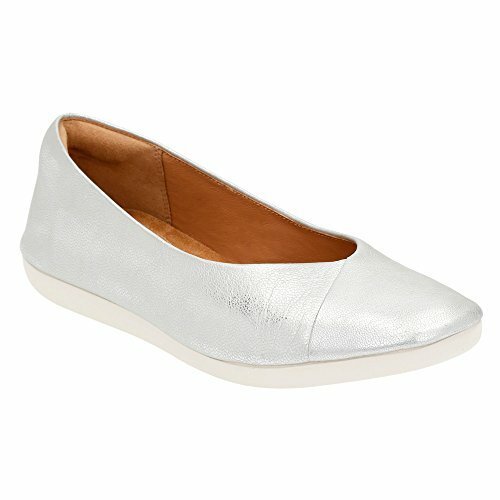 Do you wear sneakers or flats? And is it possible to mix comfort and style? For years, I avoided wearing flats on vacation. Sure, they’re perfect for errands and school runs, but they are pain magnets when you’re walking for miles. One time, against my better judgment, I wore an old pair of flats, in Rome. Always dependable, I found myself grabbing them, as I rushed out the door. Unfortunately, they had little to no support. Let’s just say, I quickly realized Rome has thousands of cobblestones. My feet felt every single one of them, up close and personal. At some point, I walked barefoot when no one was looking. After that trip, I figured sneakers would be the only way forward. But, I still wanted to wear flats with my wrap dresses, and most sneakers looked too touristy. I can’t always pull off the sneaker-dress combo. 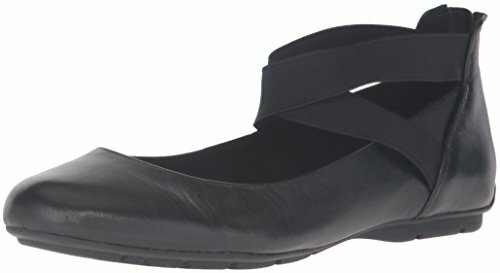 After a few duds, I found a few pairs of flats, that mix comfort, and style. The key, I found, is to wear breathable materials, such as leather or cotton, with a sturdy rubber sole. These made my outfits look a touch more dressy and stylish. Easily wearable with different outfits, the muted colors seem to go with everything. And, they’re leather, which I love. The sole was thick and intentional, with good grip and shock absorption. It’s all in the name – Aerosoles. 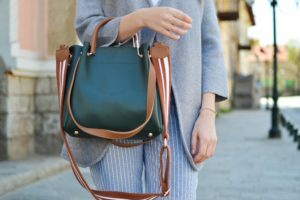 They are one of my go-to brands for style and comfort. You’re getting a pretty leather shoe, but it’s also practical. This sole seems to absorb everything, so walking in the city is easily done. The bottom of the shoe has these tiny diamond shapes, that distribute the little shocks you get from walking over bumpy ground. These were comfortable right out of the box. They’re magical, in my eyes. These are supportive, but don’t scream “comfort shoes”. They are elegant and so comfy. The strap kept my foot from moving around, even when walking on uneven surfaces. I even sprinted in these, when I chased after the kids. The leather material, molded to my foot after a few wears. The toe area was spacious and my toes did not feel tight. I walked for miles in these, without a blister in sight. Did you notice the gold flecks in the rubber sole? That’s probably my favorite bit. I get asked all the time, where I got them. I have far too many dark-colored shoes, so I gave these a spin. The styling is pretty minimal, so the color doesn’t look too quirky. And if you don’t usually wear bright lemon yellow (doesn’t everybody? ), it also comes in black and deep red. They have a little lift, but they’re basically still flat. And if you’re worried about slipping in flats, don’t worry, because these are very grippy. No slips here. The elastic band keeps your foot snug, but also allows for any swelling or active walking. I first learned about Josef Siebel shoes, on a trip to London. I was walking in East London, when I walked past a gorgeous display of shoes in the window. Being in England, a few brands were new to me. After trying a few pairs, I left with a lovely pair of Josef Siebel flats. They’re still in great shape, after a few years of wear. Knowing they will last me for years, makes them eco-friendly, which is a bonus. Although they cost a little more, you get what you pay for – European craftsman quality. The company has been in Europe for over 130 years and are still family-owned. The look of this shoe is classic and very Audrey Hepburn. The other available colors, are just as wearable, and can be paired with dresses or jeans. I like the elastic trim that runs along the top edge. It is stretchy, but also adds some stability to the shoe. My foot doesn’t flop out, as it does with some other ballet flats. The shoe is fully made of leather, so again very comfortable and breathable. The insole is very soft and is “dual air-reaction,” according to their website. Translation: It’s like walking on clouds. I kind of forgot I was wearing them, to be honest. They fit like a glove. Just make sure you look up your European size-equivalent, because the sizes are European. These are so fun to wear. I like the black, but they also come in pale, neutral colors. These remind me of a very expensive pair of Chloe flats, I was once lusting after. Luckily, I can copy that style, without the price tag. My wallet (and husband), are very pleased. Usually, ballet flats have a thin leather sole, that although pretty, is not practical for heavy walking. The nice thing about these ballet flats, is that they have been adapted for walking for hours in the city, and have a rubber sole. Overall, they feel sturdy, while retaining its feminine style. The zipper at the back adds another detail to an already chic shoe. It was comfy, right out of the box. These combine comfort with a hint of femininity. I love the breathability of the lace material. Like most Skechers, these are very lightweight and easy to wear from the beginning. There are many color options, so you can’t go wrong. I always like a supportive, but flexible sole, and these tick both those boxes. They look sturdy. But are they comfortable? The memory foam in these shoes is ah-mazing, let me tell you. I walked 10,000 steps and these shoes took them like a champ. No blisters, just pure comfort. As well as looking cute, the cutouts also make these very breathable. I can’t recommend these enough. My friend has plantar fasciitis (ie. pain and stiffness in her mid-foot) and she loves them, a lot. Sporty shoes, especially flats, can look plain ugly in my opinion. 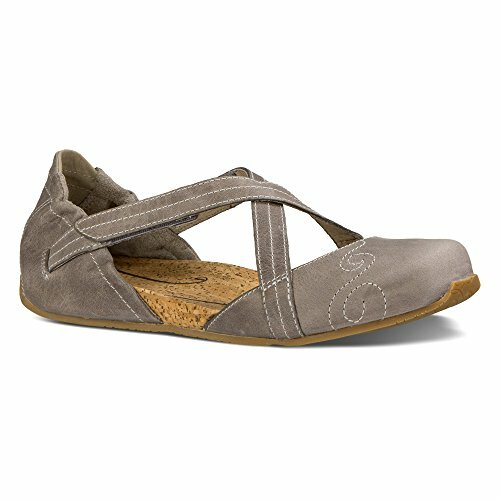 Ahnu shoes are experts in comfort, but with a bohemian vibe. I’ve had them for years and throw them in my luggage on most trips abroad. If you’ve ever worn a cork footbed, you know they are naturally comfortable. After all that walking, it’s good to know the soles have anti-microbial properties. The straps are adjustable, so can accommodate most feet. They are especially handy, if like me, your feet swell a bit, by the evening. At the same time, the straps make you feel really secure. 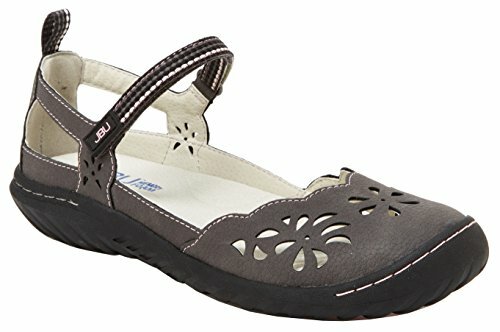 My friend told me that these were extremely comfortable, despite having plantar fasciitis. I did find I have to go a half-size down in this style, so just be aware.